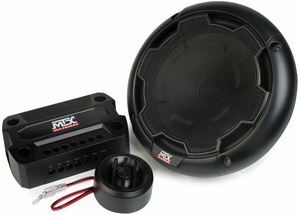 Loaded Thunderform with a single, hard hitting, ten inch Terminator Subwoofer rated at 250 watts RMS @ 4 ohms. 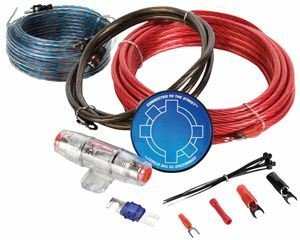 Fits Jeep - 4-Door Wrangler JK 2007-2016. Installs on driver side rear wheel well. Vehicle specific ThunderForm enclosures are designed to utilize space in vehicles that would otherwise go unused to add a subwoofer enclosure. 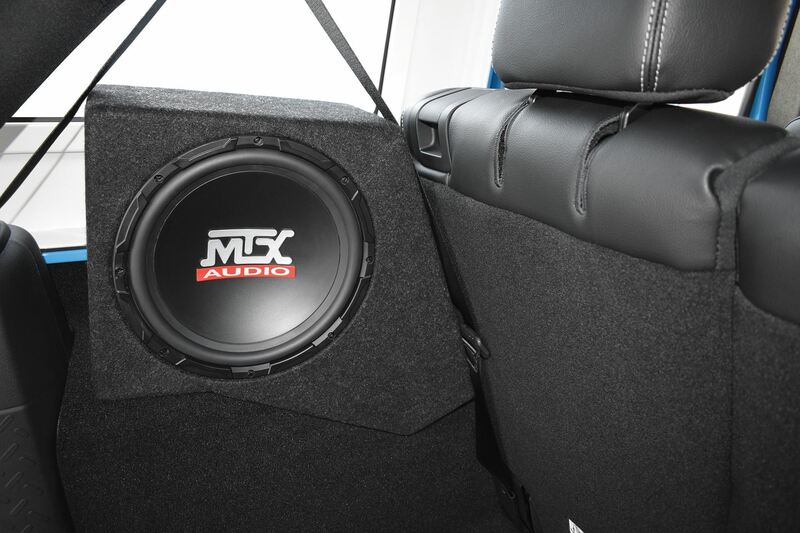 These enclosures are highly durable and provide a custom fit so that you do not have to sacrifice cargo space for added aftermarket performance. 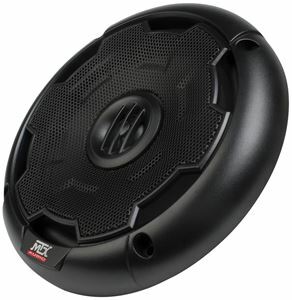 This model includes a single 10" subwoofer for an unbeatable listening experience with a stealthy factory look. Fits: Jeep Wrangler 4-Door JK 2007-2016. This unit installs on the DRIVER side rear wheel well. Easy install with perfect factory fit. This Thunderform model is constructued using durable MDF and aviation grade carpet to ensure durability over time. 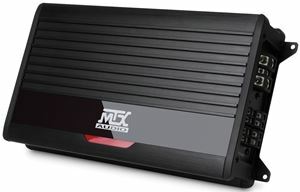 The included 10" subwoofer is capable of handling up to 250-watts RMS power and has an impedance of 4-Ohms making it easy to pair with external amplifiers like the MTX THUNDER500.1 or MUD100.2. 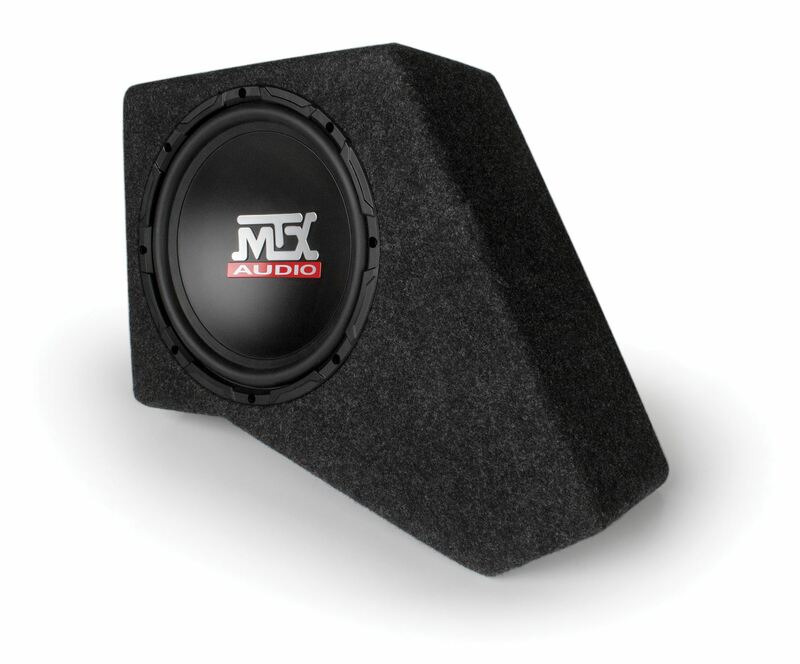 Note: Models with convertible soft tops will have a fitment issue with the subwoofer location. The top on that side will not sit flat as it will lay on top of the subwoofer enclosure. This issue can be resolved by either removing the soft top or purchasing a 3" spacer and 3.5" 1/4-20 bolt with security head from your local hardware store, which will move the enclosure away from the side of the Jeep allowing the covertible soft top to lay flat. 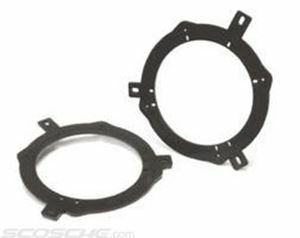 Dimensions 17-4/5" x 16-5/16" x 6-9/16"